History Matty was purchased last December along with his two brothers. Unfortunately, as he hit ratty puberty his hormones have caused his some behavioural issues and he ended up injuring his brothers. Temperament Matty’s previous home describes a very intelligent, cheeky chap but he been a bit nippy at times. We’re confident this is down to his hormones and that neutering will make him much happier. 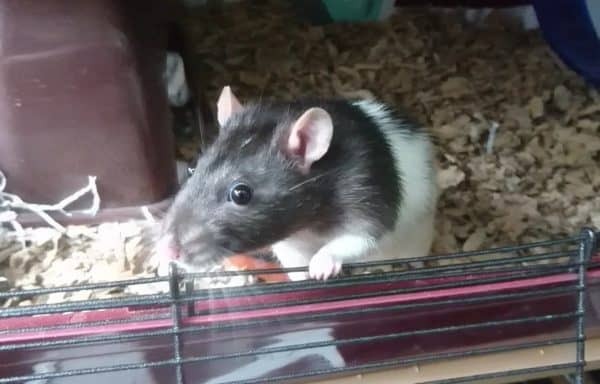 Ideal home Matty is still under assessment but we expect to be seeking a home with some nice girl rats for company once he’s neutered. He is used to spending quite a bit of time outside of his cage so we’ll be keeping that in mind when looking for his perfect new home.